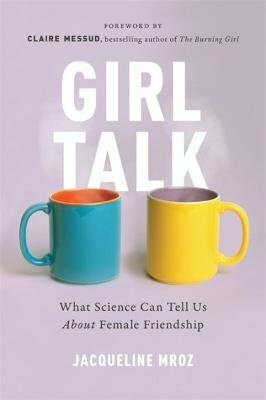 In Girl Talk, New York Times science reporter Jacqueline Mroz takes on the science of female friendship--a phenomenon that's as culturally powerful as it is individually mysterious. She examines friendship from a range of angles, from the historical to the experiential, with a scientific analysis that reveals new truths about what leads us to connect and build alliances, and then "break up" when a friendship no longer serves us. Mroz takes a new look at how friendship has evolved throughout history, showing how friends tend to share more genetic commonalities than strangers, and that the more friends we have, the more empathy and pleasure chemicals are present in our brains. Scientists have also reported that friendship directly influences health and longevity; women with solid, supportive friendships experience fewer "fight or flight" impulses and stronger heart function, and women without friendships tend to develop medical challenges on par with those associated with smoking and excessive body weight. With intimate reporting and insightful analysis, Mroz reveals new awareness about the impact of women's friendships, and how they shape our culture at large.